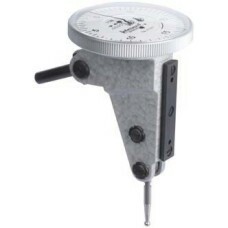 Dial Test Indicators are a very popular measuring device and are known for their compact design, accuracy, repeatability and ease of fixturing. The Test Indicator is great for measuring runout and linear displacement in many applications, but watch out for cosine error! See our "Gage Blog" above for the cosine error discussion regarding test indicators. 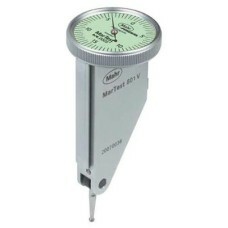 Test Indicators are on sale at Gaging.com and are available in dial or digital versions. 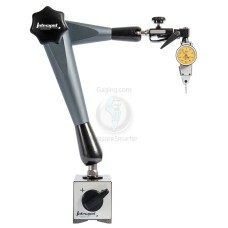 *indicator not included The01639023 Brown & Sharpe INTERAPID Magnetic Support with Articulated Ar..
*indicator not included The 01639035 Brown & Sharpe INTERAPID Table Measuring Stand is on sale at.. 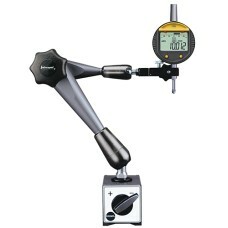 The 01639053 Brown & Sharpe Magnetic Articulated Arm is on sale at Gaging.com! 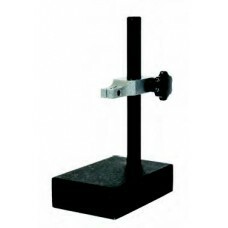 Extended 13" range..
074111370 Interapid 312 Series Brown & Sharpe Horizontal Dial Test Indicator - 0.060"
The 074111370 Interapid 312 Series Brown & Sharpe Horizontal Dial Test Indicator - 0.060" is on sa..
074111371 Interapid 312 Series Brown & Sharpe Horizontal Dial Test Indicator - 0.060"
The 074111371 Interapid 312 Series Brown & Sharpe Horizontal Dial Test Indicator - 0.060" is on sa..
074111372 Interapid 312 Series Brown & Sharpe Horizontal Dial Test Indicator - 0.016"
The 074111372 Interapid 312 Series Brown & Sharpe Horizontal Dial Test Indicator - 0.016" is on sa..
074111373 Interapid 312 Series Brown & Sharpe Horizontal Dial Test Indicator - 0.016"
*product shown may differ The 074111373 Interapid 312 Series Brown & Sharpe Horizontal Dial Test..
074111374 Interapid 312 Series Brown & Sharpe Horizontal Dial Test Indicator - 0.060"
*product shown may differ The 074111374 Interapid 312 Series Brown & Sharpe Horizontal Dial Test..
074111377 Interapid 312 Series Brown & Sharpe Horizontal Dial Test Indicator - 0.060"
The 074111377 Interapid 312 Series Brown & Sharpe Horizontal Dial Test Indicator - 0.060" is on sa..
074111378 Interapid 312 Series Brown & Sharpe Horizontal Dial Test Indicator - 0.060"
The 074111378 Interapid 312 Series Brown & Sharpe Horizontal Dial Test Indicator - 0.060" is on sa.. 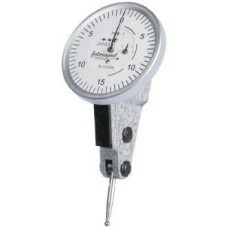 The 074111508 Interapid 312 Series Brown & Sharpe Full Set Horizontal Dial Test Indicator with Acce.. 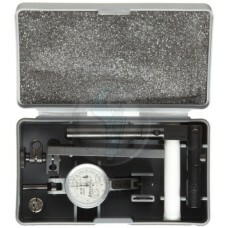 The 074111509 Interapid 312 Series Brown & Sharpe Full Set Horizontal Dial Test Indicator with Acce..
213GLA Brown & Sharpe COMPAC Dial Test Indicator 0.12"
The 213GLA Brown & Sharpe COMPAC Dial Test Indicator 0.12" is on sale at Gaging.com! COMPAC r..
215GA Brown & Sharpe COMPAC Dial Test Indicator 0.024"
The 215GA Brown & Sharpe COMPAC Dial Test Indicator 0.024" is on sale at Gaging.com! COMPAC r..